I LOVE this brand new Scentsy Warmer of the Month! It debuts this month, a brand new warmer fresh for March, and you can buy it on sale too! Only $27, regularly $30. 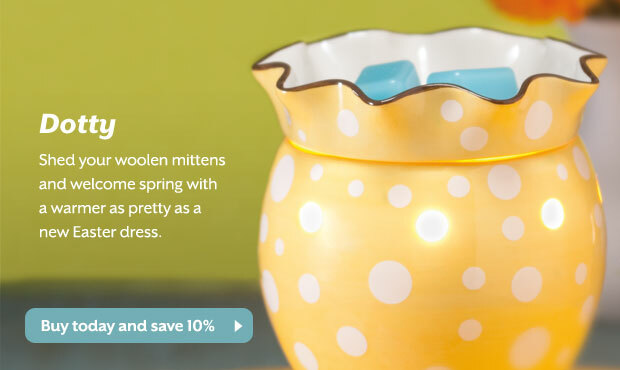 The Dotty Scentsy Warmer is so fresh and fun, yet delicate as the new spring. The shape and cute polka-dots remind me of an Easter egg! The yellow is a perfect soft, yellow, and the accent trim is yummy chocolate brown. Sure to be a pleaser this season with your fresh, spring decor to welcome in the warmer weather. 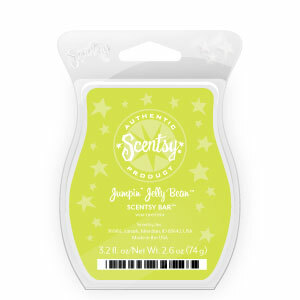 Jumpin’ Jelly Beans Scentsy Scent of the Month is one of my favorites yet! It is such a yummy, fresh yet sweet and fruity scent of pears and apples, with a bit of zesty lemon and sweetness of sugar. A delicious blend, sure to bring out the child in you and bring back your sweetest memories.